As a stay at home mom/photographer with a husband who works our marketing business from home, we have so much time for fun! We go against the grain and pave our own path through life by setting our own definitions about what is normal! We unschool, set our own schedule, and use essential oils for cleaning and medical issues. We have chosen not to accept what others expect from us and instead, pave our own path as a family and as individuals. Having unschooled children leads you down a path of adventure! Follow us through crafting, experimenting, essential oils, knitting, drawing, recipes, parenting and marriage. Check out My Favorite Essential Oils Part 1! Like I said in part 1, I have so many favorite Essential Oils that when someone ask me, “Whats your favorite essential oil?” I struggle to answer. I have essential oils that are my favorite because I use them everyday, I have favorites because of the changes they have made in my life, I have favorites because of smells, my list of favorites just keeps growing! Last time I featured Jade Lemon Essential Oil, Peppermint Essential Oil, Cypress Essential Oil, Cedarwood Essential Oil and White Angelica Essential Oil. 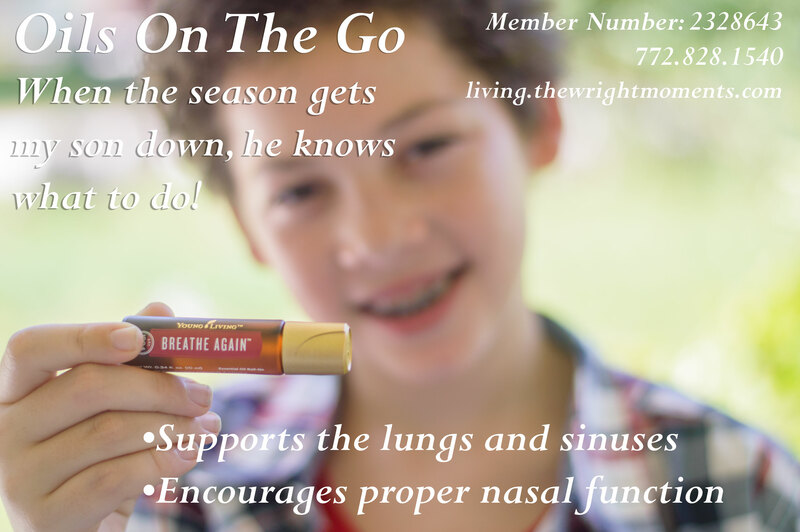 Now onto, Breathe Again Essential oil! This convenient roll-on has been a life saver for my 11 yr old son! This is him, smiling, outside! Usually when he is outside all he can do is itch his eyes and sneeze. Now he just rolls this on around his nose, under his eyes and behind his ears, and he can… breathe again! (Pun intended!) Of course, any oil that makes my kids life easier is a favorite of mine! Now, lets talk about Stress Away Essentil Oil! I originally wanted to make this graphic to say, “Because giving your children cough syrup isn’t appropriate just because their cranky!” But, I came to my senses and thought, “maybe not!” But seriously, this is how I feel about this oil! 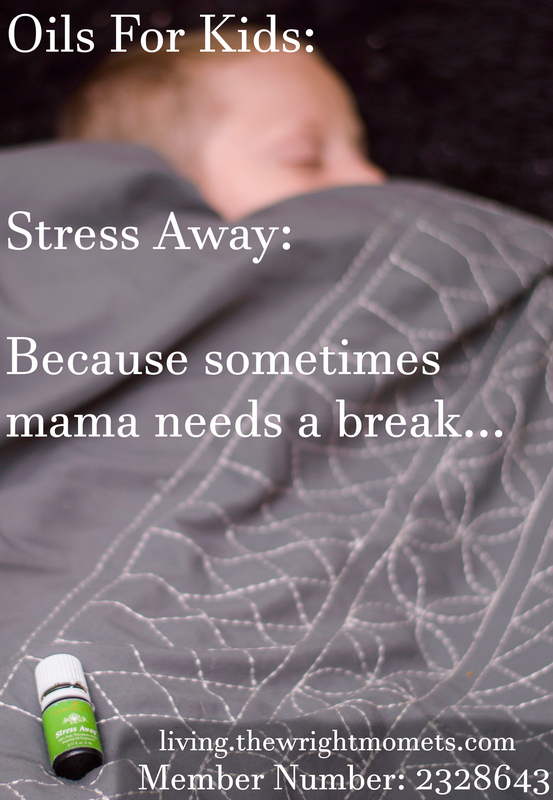 When my kids are cranky and fighting sleep or running around like crazy people at bedtime, I diffuse Stress Away and they are like calm little angels with in minutes! Yes, this works well on cranky husbands too! Ok, Thieves Essential Oil, this is a big one! I could write at least 10 post about Thieves Essential Oils! This is no longer just an amazing essential oil blend. This is now an entire line from Young Living! I will talk a bit about the oil then I will attempt to list all of the products in the line! 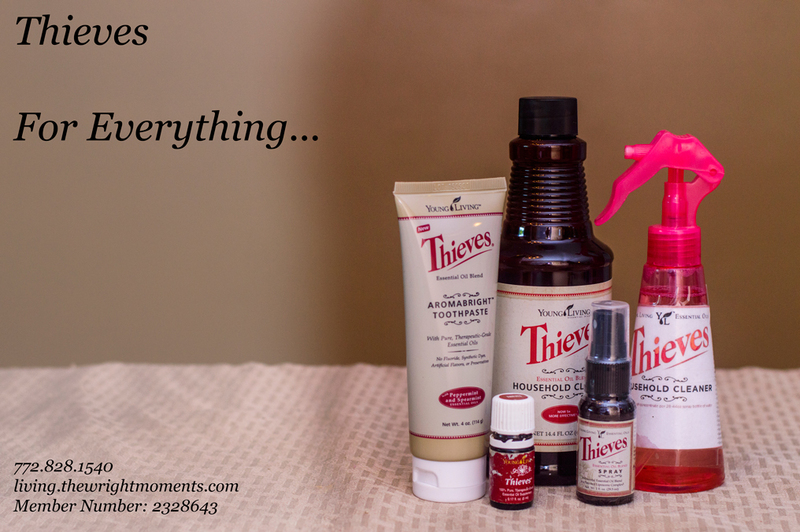 Thieves Essential Oil blend is one of the first oils I used. My kids were sick with high fevers and my sister had these little bottles of what she called miracles! She was right! I rubbed some peppermint essential oil on their feet and thieves on their chest and they felt so much better so quickly! Plus, with the continued use of the thieves oil, me and my husband never caught their cold! By the way, this oil smells soooo good. It reminds me of the holidays! This leads me to, part 3. Yes, I have more! I think I will be able to cover the rest of my favorites in part 3! See you next time! So, how do you get your hands on these oils? You can buy them retail through Young Living or you can purchase a starter kit, which makes you a wholesale member, and buy them at wholesale prices. The oils in the starter kit are amazing and you will need them for many other things (especially if you have kids)! Click here and it will take you to a page that quickly shows you how to go about each option! Comment below with any of your testimonies or questions!